Wearable represents a large portion of the IoT sector. And even if IoT devices can use various protocols, wearable devices use BLE almost every time. BLE has already been used in smartphones and almost all wearables that pair with smartphones to provide people with the capability to use their phones to interact with their wearable devices. Wearable devices are smart electronic devices that can be worn on (or even in) the body as an implant, or accessories and can be paired with another device. Examples of wearables are devices such as smartwatches, wristbands, eyewear, head-mounted displays, smart clothing, smart jewellery, implantables and many other devices. It is interesting to look at how the future of wearable devices is changing. A couple of years ago the most popular devices were wristbands and watches. But now the most active sector in wearables is eyewear (+201.2% in 2020 compared to 2015), smart clothing (+62.6%) and there is still growth in the smart watches market (+27.8%). It is likely that wristbands will reach its close limit because predicted growth is only 4.3% by 2020. Also, there are several potentially strong directions for products like electronic skin for use in medical applications, wearable beacons and wearable jewelry. 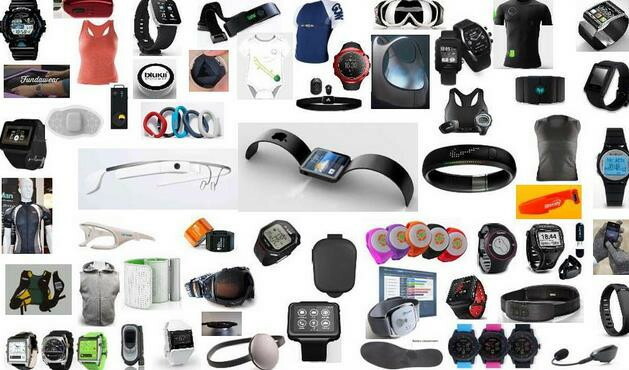 Perhaps, sales of wearable devices up to 101.9 million units will be achieved by the end of 2016. It is +29% compare to 2015. The most dominant players in the Wearable segment are Fitbit, Xiamoni and Apple. The most popular BLE chip vendors are NOD and Qualcomm. ie., work well in a mesh network. Function a long time without charging. Have a significant level of security. If you take a look to the list above it is obvious that BLE meets almost all these requirements. BLE (or Smart Ready) host is already available in smartphones. Developed with ultra-low power consumption in mind. BLE chips are small, battery is small too. This reduces the cost, size and weight of the product. BLE 4.2 specification provides improved security requirements. The low power consumption of BLE makes it ideal for wearable devices. Its reduces battery size, which in turn reduces device cost, size, and weight. BLE’s low data rate makes for an ideal fit for applications where only state information has to be exchanged. The protocol is optimized to burst transmit small blocks of data at regular intervals, thus enabling the host processor to maximize the amount of time. In this way each layer of the architecture has been optimized to reduce power consumption. Power consumption for BLE ranges between 0.01 and 0.5 relative values if you take 1 as the mean value of Bluetooth Classic power consumption. This means a device with BLE would only need to be charged every tens days rather than everyday if you had implemented the device using Classical Bluetooth. However, the communication protocol is only one aspect of wearable devices. Wearable devices may include many other functional blocks like sensors, an analog front-end to process sensor signals, digital signal processing (DSP) to filter out any noise picked up from the environment, storage in which to log information, a processor to implement high-level system-related functionalities, a battery charger, and other subsystems. Other benefit BLE in case of wearable is size of a module. Today 3.5 mm x 3.5 mm x 1.0 mm is started to be OK for BLE bluetooth modules. You can see the benefit when you compare it with the 11 mm x 13 mm x 2 mm that is the normal formfactor for Bluetooth Classic. The BLE chips/modules are small, and fit nicely into any wearable such as wristbands, watches, clothing, smart jewelry. Taiyo Yuden’s EYSHSNZWZ has a 3.25 × 8.55 × 0.9 mm form factor along with a built-in antenna. You only need to mount the module on a host circuit board for it to work. The final price for BLE chips and modules isn’t that much different than Bluetooth Classic chips and modules. But the final cost of the device where a BLE chip is used could end up being lower using BLE. 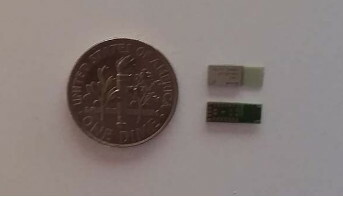 The BLE chip is smaller, so the size of the final device would be smaller, and cheaper to boot. BLE devices can be used with a smaller, more compact circuit board which can also reduce expenses. Devices with BLE can be programmed faster thereby saving development time and costs. The increasing adoption of Bluetooth Smart Ready in devices like smartphones, tablets, and other portable devices has led to Bluetooth Low Energy becoming a popular choice for the communication protocol in wearable products. To support the power requirements of these applications, various silicon vendors have developed BLE controllers and System on Chip (SoC) devices that support BLE. SoCs with BLE helps to reduce system power consumption, Bill of Materials (BOM) costs, and the size of the final products to make the wearables market even more promising and attractive.